Training Industry’s list recognizes top 20 companies who develop learning games, simulations, and serious games, and integrate gamification in learning solutions. SAN FRANCISCO, Calif., October 15, 2015 – Training Industry has released its second annual list of Top 20 Gamification Companies, and SweetRush was recognized as a top company for the second year. Selected companies were evaluated on several criteria: features and capabilities of their gamification products and services, company size and growth potential, quality and number of clients and users, geographic reach, and awards, recognition and competitive difference. 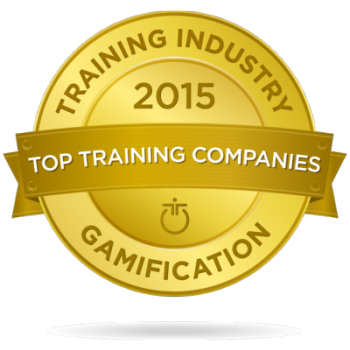 The full Top 20 Gamification Companies list can be found on trainingindustry.com.